Know a budding baker or aspiring chef? This is the perfect gift for them! This traditional batter jug has an added modern twist. 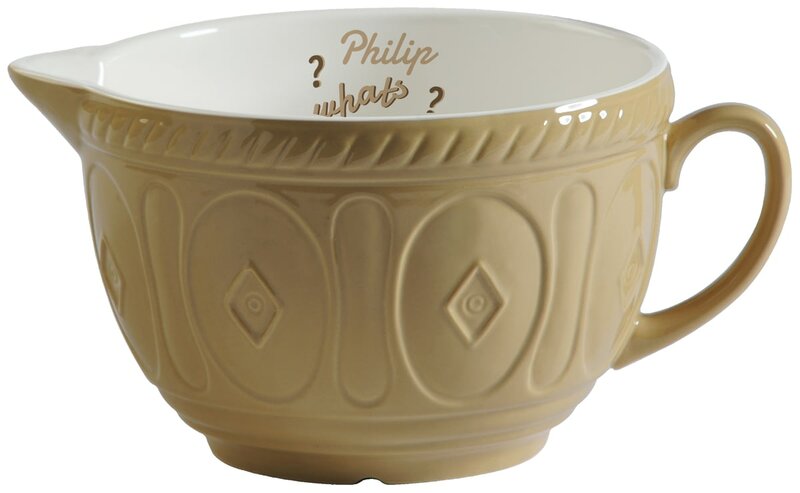 Your baker's name is included inside the jug so that everyone will forever know that the kitchen is their domain! Whatever the occasion, a domestic god or goddess will definitely appreciate this gift. Please note the wording "What's Cookin' Good Lookin'" is fixed text. This traditional bowl has an added modern twist.